As Executive Vice President of HSBC Holdings PLC/HSBC Bank USA, James Hogan is responsible for Trade and Supply Chain and Global Transaction Banking at HSBC. 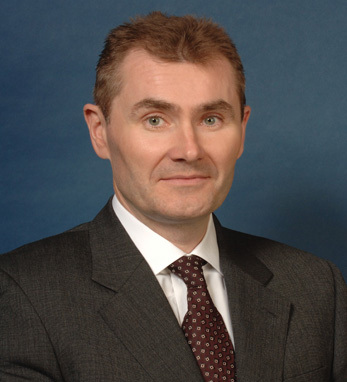 He joined HSBC in 1987 and has served in a variety of positions across a number of disciplines within the HSBC Group. Hogan oversees the Trade and Supply Chain business, which provides advisory services, financing, and support for companies in North America, carrying out cross-border trade with the rest of the world. With HSBC’s history of servicing the international trade needs of companies worldwide, he plays an integral role in the continuation of HSBC’s commitment to support international networks across emerging and developed markets. Hogan was born and raised in Dublin, and graduated from the University of Dublin with a Bachelor of Commerce. He serves on Goal USA’s advisory board, and says being Irish “provides a firm foundation to live and work anywhere in the world, which is based on a combination of pride, dynamism, resilience and good humor.” He is married to Josie, and is an avid golfer and long distance runner.